A York hotel has issued an “SOS” appeal for second hand suits to be given to men and women to wear at interviews. 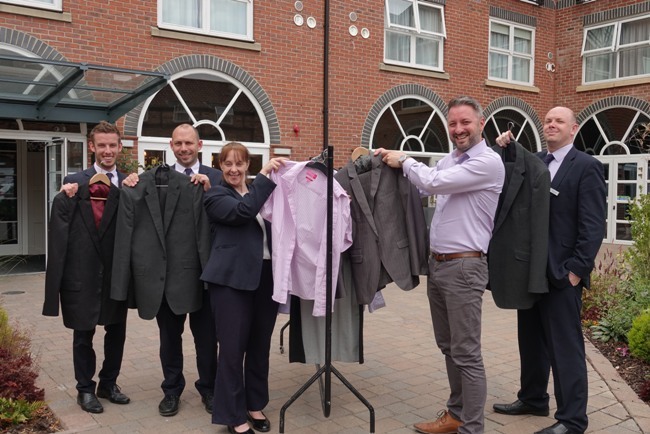 The DoubleTree by Hilton York’s “Share our Suits” initiative is being held during Hilton’s wider Global Week of Service which begins on Monday (July 23), and will see the donated clothes being given to charity partners across the region to administer accordingly. In addition to suits, the hotel’s Care Committee is also asking for shoes, handbags, shirts, blouses, ties, cufflinks, belts, coats, warm jackets, suit covers and carriers. Hilton’s Global Week of Service, which was launched in 2012, sees individual Hilton hotels, brands and offices around the world identifying their own projects to support. Over the years these have included creative ways to eliminate food waste, volunteering and mentoring young people – all showcasing how a career in hospitality can change lives. DoubleTree by Hilton York general manager Graham Usher said: “We all know how important it is to feel confident and to look smart at interviews, hence us launching this clothing SOS. “Whilst it is primarily targeted at staff members, we are widening this appeal to customers and the wider public. “Last year more than 600 items were collected and we hope we can do even better this year. We are asking for clothes in good condition for men and women in all sizes. Clothes – preferably on hangars – should be left at the hotel’s reception, which is located on St Maurice’s Road, York, YO31 7JA.